What is the cheapest way to get from Chihuahua to Leon/Guanajuato Airport (BJX)? 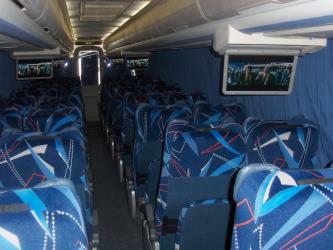 The cheapest way to get from Chihuahua to Leon/Guanajuato Airport (BJX) is to bus which costs $1300 - $2400 and takes 17h 54m. What is the fastest way to get from Chihuahua to Leon/Guanajuato Airport (BJX)? The quickest way to get from Chihuahua to Leon/Guanajuato Airport (BJX) is to fly which costs $2600 - $4000 and takes 4h 7m. 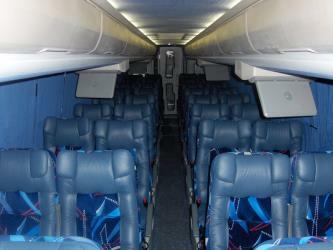 Is there a direct bus between Chihuahua and Leon/Guanajuato Airport (BJX)? 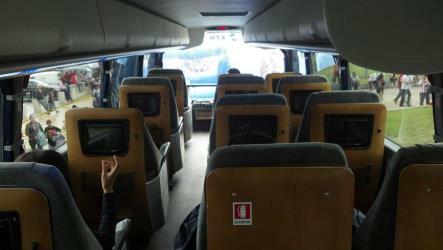 No, there is no direct bus from Chihuahua to Leon/Guanajuato Airport (BJX). However, there are services departing from Chihuahua and arriving at Leon - Del Bajío International Airport via Chihuahua, Zacatecas and León. The journey, including transfers, takes approximately 17h 54m. How far is it from Chihuahua to Leon/Guanajuato Airport (BJX)? The distance between Chihuahua and Leon/Guanajuato Airport (BJX) is 969 km. The road distance is 1096.8 km. How do I travel from Chihuahua to Leon/Guanajuato Airport (BJX) without a car? The best way to get from Chihuahua to Leon/Guanajuato Airport (BJX) without a car is to bus which takes 17h 54m and costs $1300 - $2400. How long does it take to get from Chihuahua to Leon/Guanajuato Airport (BJX)? It takes approximately 4h 7m to get from Chihuahua to Leon/Guanajuato Airport (BJX), including transfers. Where do I catch the Chihuahua to Leon/Guanajuato Airport (BJX) bus from? 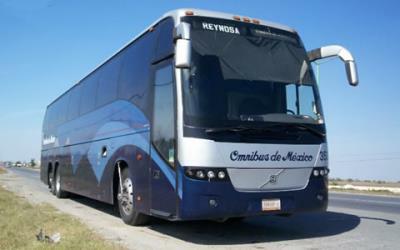 Chihuahua to Leon/Guanajuato Airport (BJX) bus services, operated by Omnibus de Mexico, depart from Chihuahua station. Bus or fly from Chihuahua to Leon/Guanajuato Airport (BJX)? The best way to get from Chihuahua to Leon/Guanajuato Airport (BJX) is to fly which takes 4h 7m and costs $2600 - $4000. 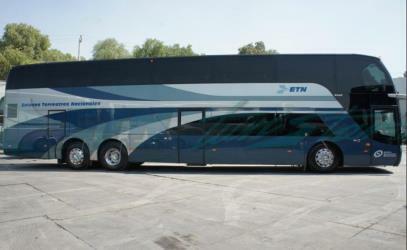 Alternatively, you can bus, which costs $1300 - $2400 and takes 17h 54m. How long is the flight from Chihuahua to Leon/Guanajuato Airport (BJX)? There is no direct flight from Chihuahua Airport to Leon/Guanajuato Airport. The quickest flight takes 3h 51m and has one stopover. 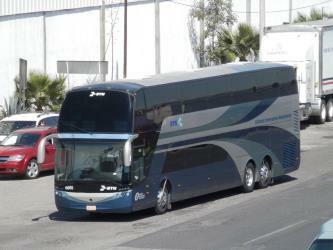 Where does the Chihuahua to Leon/Guanajuato Airport (BJX) bus arrive? 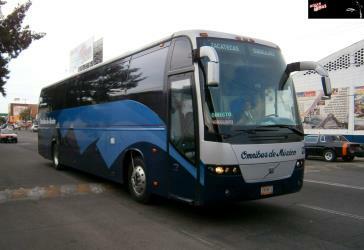 Chihuahua to Leon/Guanajuato Airport (BJX) bus services, operated by ETN, arrive at León station. What companies run services between Chihuahua, Mexico and Leon/Guanajuato Airport (BJX), Mexico? Aeroméxico, Viva Aerobus and four other airlines fly from Chihuahua to Leon/Guanajuato Airport (BJX) hourly. Alternatively, you can take a bus from Chihuahua to Leon/Guanajuato Airport (BJX) via Chihuahua, Zacatecas, and León in around 17h 54m. Rome2rio's Travel Guide series provide vital information for the global traveller. Read our range of informative guides on popular transport routes and companies - including What are the different types of Renfe trains in Spain?, How do I get from Sydney to Melbourne and 10 amazing places to get away from it all in Australia - to help you get the most out of your next trip. What is the time difference between Chihuahua and Leon/Guanajuato Airport (BJX)? Leon/Guanajuato Airport (BJX) is 1h ahead of Chihuahua. It is currently 8:24 AM in Chihuahua and 9:24 AM in Leon/Guanajuato Airport (BJX). Can I drive from Chihuahua to Leon/Guanajuato Airport (BJX)? Yes, the driving distance between Chihuahua to Leon/Guanajuato Airport (BJX) is 1097 km. It takes approximately 12h 31m to drive from Chihuahua to Leon/Guanajuato Airport (BJX). Which airlines fly from Chihuahua Airport to Leon/Guanajuato Airport? Viva Aerobus, American Airlines, United Airlines and three other airlines offer flights from Chihuahua Airport to Leon/Guanajuato Airport. Where can I stay near Leon/Guanajuato Airport (BJX)? There are 308+ hotels available in Leon/Guanajuato Airport (BJX). Prices start at $584 MXN per night. How do I get to Chihuahua (CUU) Airport from Chihuahua? The best way to get from Chihuahua to Chihuahua Airport is to taxi which takes 16m and costs $65 - $85. The Alhóndiga de Granaditas (Regional Museum of Guanajuato) (public granary) is an old grain storage building in Guanajuato City, Mexico. This historic building was created to replace an old granary near the city's river. The name translates roughly from both Arabic and Spanish as grain market or warehouse. Its construction lasted from 1798 to 1809, by orders of Juan Antonio de Riaño y Bárcena, a Spaniard who was the quartermaster of the city during the Viceroyalty of New Spain. The building received World Heritage listing as part of the Historic Town of Guanajuato in 1988. The Universidad de Guanajuato (in English, the University of Guanajuato) is a university based in the Mexican state of Guanajuato, made up of about 33,828 students in programs ranging from high school level to the doctorate level. Over 17,046 of those are pursuing undergraduate, masters, and doctorate degrees. The university offers 153 academic programs, including 13 doctorates, 39 masters programs, and 65 bachelor's degrees. The university has schools in fourteen cities throughout the state of Guanajuato. The Cerro del Cubilete (in English, "Dice Cup Hill") is a 2700 m mountain in Silao Municipality in Guanajuato, Mexico. The Zoo León (formally León Zoological Park, or Parque Zoológico de León in Spanish) is a zoo located in León, Guanajuato, Mexico. The zoo is open 365 days a year. Rome2rio makes travelling from Chihuahua to Leon/Guanajuato Airport (BJX) easy. Rome2rio is a door-to-door travel information and booking engine, helping you get to and from any location in the world. Find all the transport options for your trip from Chihuahua to Leon/Guanajuato Airport (BJX) right here. Rome2rio displays up to date schedules, route maps, journey times and estimated fares from relevant transport operators, ensuring you can make an informed decision about which option will suit you best. Rome2rio also offers online bookings for selected operators, making reservations easy and straightforward. Need a rental car at Leon/Guanajuato (BJX) airport?